Happy October Everyone! As we venture into a new month, we feel it would be informative to our followers to share with you the current market conditions and give you a snapshot of how the market performed in the last 30 days. We will provide this snapshot the first week of every month so be sure to check back in so you are always “in the know”! 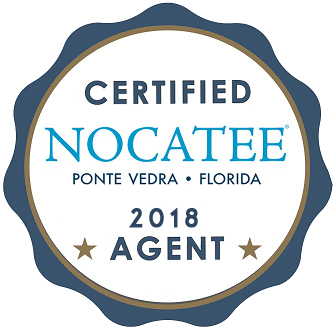 Overall, September proved to be a solid month for Ponte Vedra Beach and the surrounding Beaches given the circumstances (insert: Hurricane Irma and all the time it is taking to clean up our little town). We saw a slight decline in New and Sold Listings over the previous month which was to be expected with such a large storm near our area. According to Realtor.com Inventory Trends, the average list price of a home in the United States is $460,900 with the median at $274,300. Once again our market has proven to outperform the National average and continues to live up to its reputation according to Forbes report naming Jacksonville as one of the “10 Hottest Real Estate Markets to Watch in 2017”. If you have any questions about the information above or would like specific information relating to your area of town then please email us at SallySergeant@hotmail.com or comment below. Have a great week!